American historian While this statement may not hold as true in other parts of the globe, mobility is none-the- less closely associated with the ability to make choices regardless of where one lives. Defined by the Oxford Dictionary as “1) the ability to move or be moved freely and easily and 2) The ability to move between different levels in society or employment,” first thoughts on mobility may lean towards the physical: walking, cycling or driving a car, as an able-bodied or disabled individual. Phrases such as “social climber” or “moving up the corporate ladder” may come to mind. Increasingly, global migration patterns driven by a search for greater economic prosperity or the need to escape conflict signify mobility or the lack thereof. 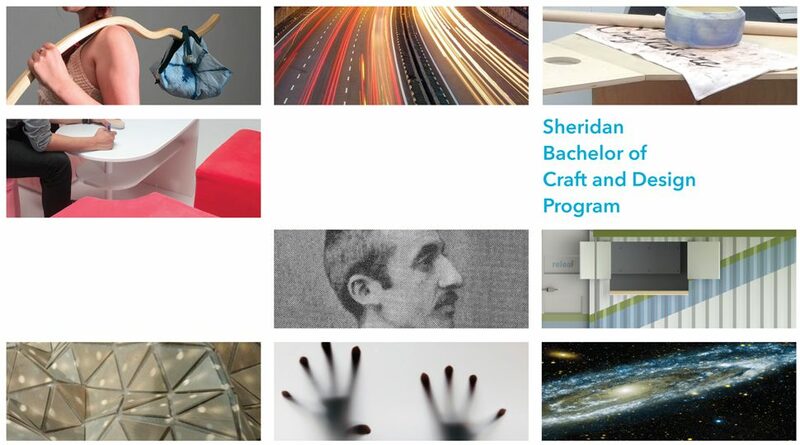 The Sheridan Bachelor of Craft and Design Program encompasses 5 areas of concentration in ceramics, furniture, textiles, glass, and industrial design. During an intensive week-long project, twenty-one interdisciplinary teams comprised of second, third, and fourth year students explored what mobility can signify; this exhibition presents several of their interpretations.